Oakdale, NY – Dark Storm Industries today, announced its participation in National Shooting Sports Month in partnership with the National Shooting Sports Foundation (NSSF). Created to encourage participation in our many shooting sports genres and emphasize firearms safety, this nationwide celebration will take place throughout the month of August. Whether you’re an experienced competitor, a hunter or a person just becoming interested in acquiring their first firearm and learning how to shoot, NSSF’s National Shooting Sports Month has a range near you working to encourage your skill building and firearms safety education. Visit www.LetsGoShooting.org to learn more, and be sure to “Like” NSSF’s Facebook page to see updates on the ranges and retailers near you participating, as well as stories from friends and family across the country helping everyone celebrate this inaugural event. The National Shooting Sports Foundation is the trade association for the firearms industry. Its mission is to promote, protect and preserve hunting and the shooting sports. Formed in 1961, NSSF has a membership of more than 13,000 manufacturers, distributors, firearms retailers, shooting ranges, sportsmen's organizations and publishers. For more information, visit www.nssf.org. LBM to expand DSI’s brand recognition among key markets, as well as develop and expand its writer relation’s program. Oakdale, N.Y. (June 2017) – Dark Storm Industries, LLC (DSI), a New York based firearms manufacturer, has signed Laura Burgess Marketing (LBM) to build brand awareness through LBM’s public relations program. Founded in 2013, DSI specializes in the manufacture of modern sporting rifles and has developed the DSI line of rifles to meet the ever-changing regulatory environment in states such as New York and California. LBM will focus on growing the brand’s awareness as the source for compliant AR platform rifles in DSI’s key markets of New York, California, Massachusetts and Connecticut, as well as building awareness of its standard rifles for the consumer market across the free states. LBM will do this by developing and fostering writer relations, increasing editorial coverage and facilitating media events. In addition, DSI has tasked LBM with developing sponsorship opportunities for industry media review and demo days, as well as helping to promote “special projects” when available. 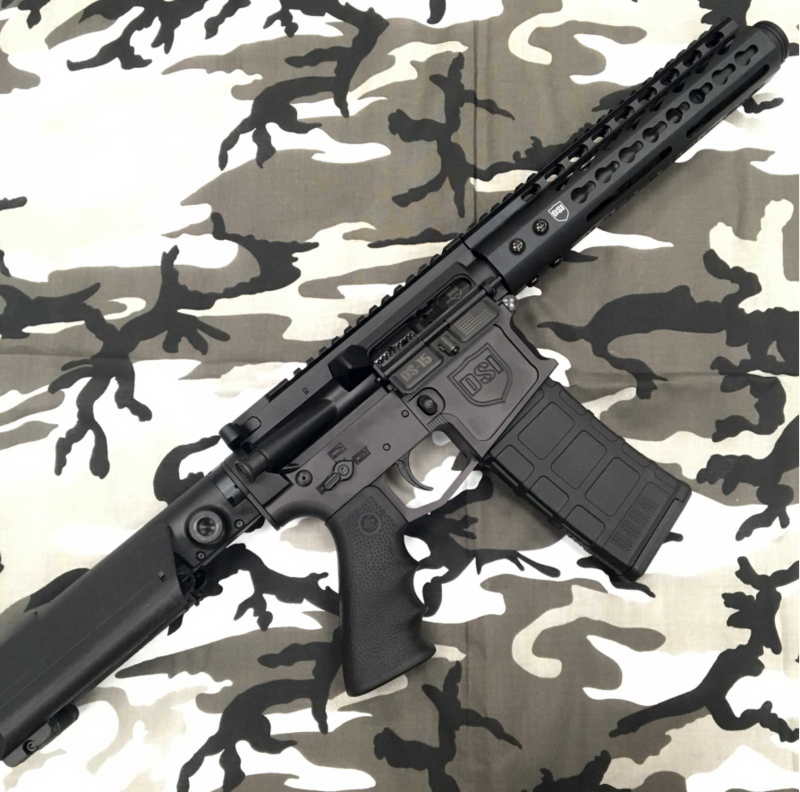 “My business partner Peter and I founded DSI out of our frustration with local dealers who did not stock parts for AR style rifles or who had hard-to-navigate websites with unknown inventory. We cater specifically to the AR platform and as a fairly young company with a niche product we needed an agency that could help steer us through the market, as well as provide us with sound advice on how to grow our brand within our key markets and beyond. We have found that agency in LBM,” commented Ed Newman, co-founder and owner of DSI. For hi-res images, press releases or collateral, please visit DSI’s client page at www.lauraburgess.com/clients/dark-storm-industries-llc/.